I know it may be hard to believe, but BIG EAST Conference play is just around the corner as PC and St. John’s tip it all off on Tuesday, December 27, at 7 p.m., in Queens, N.Y., at Carnesecca Arena. It will be the start of another brutal schedule for 16 teams that will slug it out to try in finish in the top half of the league. Most squads will be gunning for a top-eight spot as it woud almost guarantee a ticket to the NCAA Tournament. 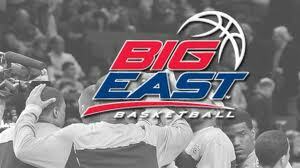 Last season the BIG EAST broke its own record for schools sent to the yearly championship with 11. Well now it would be fairly easy to say that especially during these winter months, USF and Tampa, Fla., would be on the top of the destination list. This could easily be joined by Louisville (in my opinion, one of the best college atmospheres in the BIG EAST) and then another larger city school such as DePaul (Chicago), Georgetown (D.C.), Pittsburgh, St. John’s (NYC) or Villanova (Philadelphia). 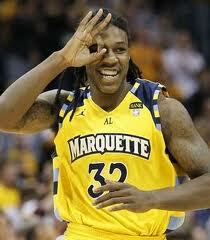 But let’s be honest, this is the BIG EAST. This is where basketball comes first, not the nightlife and attractions that go along with it. That said, if you still had to pick three road trips (and with a Volvo S60, it really wouldn’t matter where you were going), why not have it be the top three BIG EAST basketball matchups this season! To choose my top three games I decided to not pick seeing a team more than once and while the Volvo S60 may be fast, it is not a time machine, so games on the same day had to be weeded out. Also, games toward the end of the schedule were given favor as they will be paramount in deciding seeds in the BIG EAST Tournament at Madison Square Garden on March 6-10. A potential matchup of the No. 1 team in the country and the defending National Champions. Two giants will collide when Andre Drummond and Fab Melo battle in the paint while the backcourts of the Orange’s Brandon Triche and Scoop Jardine, and the Huskies Jeremy Lamb and Shabaz Napier will definitely be a good one. The X-factor could end up being Kris Joseph for Syracuse, while homecourt advantage for UConn could help to push the game in Connecticut’s favor. 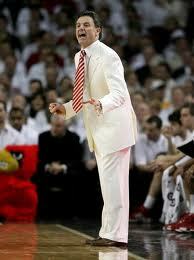 Coach Rick Pitino has his squad playing at a high level, but a matchup against Pittsburgh is always a tough task. Louisville is an undefeated 10-0 on the season and stands fourth in the country in the latest coaches poll, while Pitt is not far behind at 10-1 and 13th. BIG EAST Tournament seeding as well as national rankings will definitely be in play here. Preseason league player of the year Ashton Gibbs spearheads the Panther attack, while a team-first mentality of the Cardinals will make this a true BIG EAST battle. Marquette has caught some people by surprise this year, but are playing like a top-five team in the BIG EAST this season. Head coach Buzz Williams has the Golden Eagles at 10-0 and ranked 10th in the country in the latest coaches poll. Meanwhile, Georgetown has overcome some huge player losses in the past two seasons, such as Greg Monroe and Austin Freeman, but head coach John Thompson III has the Hoyas at 9-1 and ranked 13 in the nation. This game could decide who gets a first-round bye in the BIG EAST tournament. There are several other games that could have made this list, including Louisville at Syracuse on March 3, Pittsburgh at UConn on March 3 and Villanova at West Virginia on December 28. 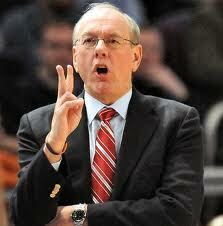 Either way, with a brand new Volvo and some excellent BIG EAST basketball, how can you really go wrong? Thanks to everyone for reading and let me know what games you want to see this season. Check out the full league schedule here. 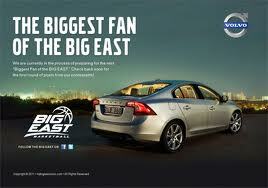 Vote for Mike Gambardella in Volvo’s “Biggest Fan of the BIG EAST” Contest.